We have the capacity to produce complex die cuts on web fed or sheet fed printed or unprinted material to produce custom packaging products. Atlantic’s Charleston converting facility has a 100″ 5 color, flexographic roll-to-roll press capable of printing lightweight tissue up to heavy board grades. Sheeting is a core component of our industrial converting operations, providing custom slip sheets and layer sheets or sheets ready to be die cut and printed. Our capabilities in industrial paper converting includes the creation of folding cartons that are custom die cut, scored, perforated, folded, glued and ready for our customers. Our converting operations in the southeast are in close proximity to our mill suppliers and the Port of Charleston. This allows us to offer quick turn service on our converted products. When you establish a relationship with Atlantic, you engage dedicated people, supported by dedicated equipment and logistics for your specific requirements. We have strong and long standing relationships with our paper suppliers which allows us to source the best pricing and fastest turnaround on materials for our customers. Atlantic slitting and rewinding capabilities produce a range of paper products in various widths and diameters, from 3/8″ narrow width slitting and up. Paper converting is one of the most versatile services we offer at Atlantic. This versatility stems from the breadth of products we can create and the range of industries we can serve from rolls of raw paper material. Atlantic has the paper converting equipment and expertise to match our customer’s demands, from creating paper products, such as folding cartons and custom die cut filter frames, to packaging products that require narrow width slitting and wide 5 color printing. Customers turn to Atlantic to get the precise paper materials they need for their own manufacturing or packaging. We run industrial paper converting operations in key locations throughout the U.S. with the ability to serve national accounts across North America. We source the most competitive pricing to deliver paper rolls, cartons, sheets, and die cut paperboard to our customers on time and as needed. Atlantic is a large company of 900 employees and 14 locations but we operate with small company flexibility, responding to our customers on a local, regional, and national scale. We source new materials and create new products as our customers grow and develop their own businesses. Our converting operations run in various strategic locations that extend our distribution network and allow us to deliver products and materials on Atlantic trucks (see: Our Locations). Our Charleston location, in particular, is close to our mill suppliers and the Port of Charleston for critical turnaround time. Atlantic has the size, scope, expertise, equipment, and source materials to meet the demands of our customers. We also have the potential to grow our capabilities and to help our customers meet their own growth potential. Atlantic is a customer focused organization. We have always operated with a “get it done” attitude which has contributed directly to our own growth and development as well as to the success and growth of our customers’ businesses. Our sales and support teams are extremely responsive, with the flexibility needed to source materials, find the best pricing, and deliver converted products at a pace that meets our customers demands. Atlantic also offers a breadth of products and services in conjunction with our converted paper products. Our Printing & Graphics division, for example, creates inserts and labels that can complete the retail packaging for your products. We also offer poly bags, shrink wrap, stretch wrap, sheeting, strapping and more to get your product to market. When you rely on Atlantic for your converted products, you get a powerful partner committed to your success. Our sales and support teams in industrial paper converting have been in this business for decades and have established key vendor/supplier relationships. We have a variety of sources we can turn to when we need to find new material to meet growing needs of our customers. We have worked particularly hard to forge a valuable partnership with our paper mill suppliers. Because of the volume of business we do in industrial converting, our years in the business, and our dedication to our customers that keeps them relying on us year after year, we have long-standing and valuable relationships with paper mill suppliers. We also have key contacts with paper merchants for specialty paper needs that don’t require high volume. This helps us find the best possible pricing on all our customers’ orders. At Atlantic’s industrial converting facilities, a paper product often starts with a multi-ton roll of raw paper material straight from our mill supplier. From that roll, we have the equipment and expertise in slitting and rewinding to create paper rolls in the width and diameter that meets our customers’ requirements. Every industry has particular demands for their paper packaging products, from paper grades and widths, to coated or uncoated, printed or unprinted. Atlantic can handle the demands for creating any of these products, whether they will be used in manufacturing, in packaging, or as an end product. Atlantic delivers one of the most diverse offerings in terms of slitting and rewinding in the industrial paper converting marketplace due to our narrow width slitting to wide web printing capabilities. Our industrial converting facilities have the equipment and the engineers to provide custom die cutting for products ranging from folding cartons to filter frames, paper trays, boxes, and drum covers. We have 63″ sheet fed die cutters up to 55″ web fed die cutters so we have the capacity to produce a wide range of products throughout many industries, including building products, die cutting for air filter frames, household goods, food packaging and more. In addition to custom die cutting, Atlantic can produce a finished packaging product with 2 color up to 5 color printing, folding, and gluing. We can also design and print inserts and labels, and produce packaging with film or poly bags for shipment or retail. Atlantic die cutting capabilities open up so many opportunities for our customers to create the exact paperboard product they need to fit their specific product. Count on Atlantic to deliver outstanding service and a high quality die cut product. Atlantic has industrial flexographic printing capabilities that accommodate long runs of web fed, inline paper rolls ranging from lightweight tissue up to heavy board grades. Our 5 color press prints roll-to-roll and can accommodate up to 60″ diameters. A unique capability of our wide web printing service is the ability to print on both sides of the sheet in a single pass. 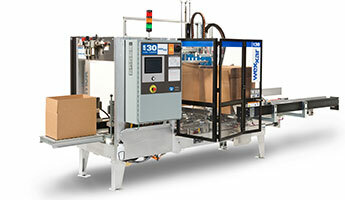 Our flexo press is designed to print consumer product wrappers and other industrial packaging products. Atlantic is continually expanding our equipment and our resources to provide a comprehensive paper converting service that provides exceptional value to our customers. Our sheeting capabilities provide our customers with custom sheets of various grades and substrates for use in their packaging operations. It also provides us with a critical part of the process for making custom die cut products, such as folding cartons or trays. Our industrial sheeting capacity means that we have nearly unlimited opportunities to serve our customers with precision and quality when it comes to our paper converting operations. Count on Atlantic to provide slip sheets, layer sheets, or other paper sheeting needs with outstanding service, fast turnaround times, and competitive pricing. Atlantic industrial converting facilities have the equipment and expertise capable of creating folding cartons ranging from standard size and style cartons to complex, custom die cuts. From die cutting to scoring, perforating, folding, and gluing, our team can deliver brown paper folding cartons custom made for your packaging specifications. Our team works closely with our customers to identify what their requirement is for folded cartons and to guide them to the best paper grade (coated or uncoated kraft, chipboard, or other grades) to produce their final product. We also help design die cuts for custom cartons if that will deliver the best fit for the product. Partner with Atlantic to get the best possible folding carton product to fit your specific application. Contact us today.